After Your Wandering, Come Home. Copyright, MDCCCXCV. by Henry J. Wehman. And there she got a letter from her Dad. And make our hearts again feel light And glad." 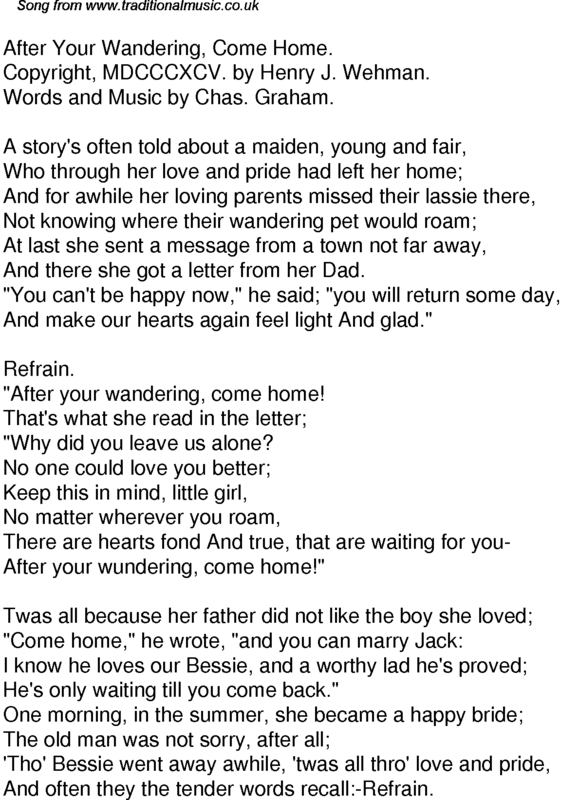 "After your wandering, come home! "Why did you leave us alone? After your wundering, come home!" He's only waiting till you come back." And often they the tender words recall:-Refrain.